Our Liberian Team — Change Agent Network, Inc.
Change Agent Network-Liberia (CAN-LIB) is the local Liberian chapter of Change Agent Network, Inc. Our organization national headquarters is located at the New Breed Center in the City View-Rehab Community area of Lower Johnsonville, Montserrado County, Liberia West Africa. We have been working in Liberia building and running schools across the country for more than ten years now and still counting. CAN's work in Liberia also includes infrastructure development, economic and social growth of disadvantaged Liberian children and people. Our local dynamic leadership team is made of 100% Liberian natives. This strong Liberian leadership team is made of individuals consisting young and old, males and females from diverse backgrounds including tribes, cultures, economic status and educational levels etc. Brief History of the Republic of Liberia. Liberia, a country in West Africa, was founded, established, colonized and controlled by citizens of the United States and ex-Caribbean slaves as a colony for former African American slaves and their free black descendants. It is one of only two sovereign countries in the world that were started by citizens and ex-Caribbean slaves of a political power as a colony for former slaves of the same political power, the other being Sierra Leone, established by Great Britain. 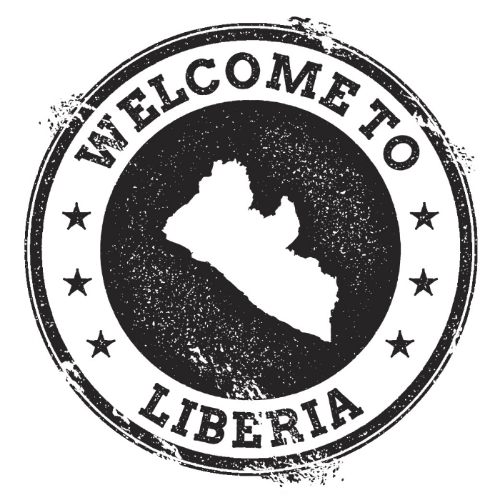 In July 26, 1847, Liberia proclaimed its independence from the American Colonization Society. Liberia is Africa's oldest republic, but it became known in the 1990s for its long-running, ruinous civil war and its role in a rebellion in neighboring Sierra Leone. Although founded by freed American and Caribbean slaves, Liberia is mostly inhabited by indigenous Africans, with the slaves' descendants comprising 5% of the population. Change Agent Network is a 501 c (3) nonprofit organization which goal is the transformation of the entire nation of Liberia through Education, Sustainable Development and the Hope of the Gospel. During the Liberian civil war in 1990, Eric was captured as a child by rebels, and was then beaten, tortured and left to die. Miraculously, he escaped and spent 14 years living in 11 different refugee camps. In 2002, around age 23, Eric was given a computer by a friend of his. He learned how to use the computer and began training other refugees from all over the continent of Africa. Eric has impacted the lives of many across the world and has established Change Agent Network (CAN) from the origins of that single desktop computer. In 2006, the U.S. Government, through a refugee resettlement program, brought Eric to America. To connect under-resourced African communities with Global Partners to launch locally sustainable schools to break the cycle of poverty in Liberia. A Liberian Society free of physical and mental poverty as well as intellectual slavery. We have successfully built 14 schools and still counting on 3 campuses and more campuses are currently under construction in 2 other Liberian counties. Within the past 7 years, Change Agent Network has graduated more than 1,400 students, many of which have become meaningful contributors to their community. One such student is Jerolimic Piah, the current Liberian Presidential Press Secretary. CAN's Plan to Transform Liberia Through Education by 2025.